If you are a surfer, mountain climber, skier, boarder, or adventure enthusiast you know first hand how the elements can take a toll on your skin. Spending so much time in the ocean has made it imperative for me to find the best products on the market not only for my skin but also for the planet. 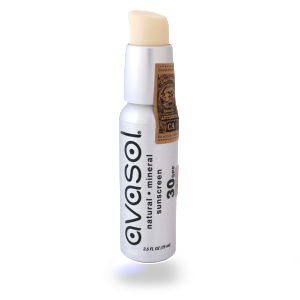 My all time favorite sunscreen is Avasol, its completely natural, doesn’t make me breakout, good for the planet, and really really works (if you’d like to read more about Avasol check my blog post Ocean Friendly Sunscreen). Sunscreen might be step one but hydration is also key to healthy glowing skin especially after a long day at the beach and in the ocean. I LOVE Medicine Mama’s Sweet Bee Magic Wand because it is easy to apply and fits perfectly in my beach bag : ) It keeps my skin smooth, hydrated and best of all gets rid of any redness that day may have brought. I love not only how this product leaves my skin feel feeling but also the positive implications it has on the environment. Its made with only five ingredients; Honey, Propolis, Beeswax, Avacado Oil and Extra Virgin Olive Oil. So simple you can literally eat it! All the ingredients are organic and Medicine Mama’s has made it there mission to help save the Bee’s by giving generously to charity and keeping there own farmers and working Bee’s in business. Don’t take my word for it, use the discount code SALTYCOCONUT for 10% off your first Medicine Mama’s order and see for yourself why I can’t live without it!